A searchable abstracts database, covering literature published from 2004 to the present, has been developed as a comprehensive reference source. We are pleased to invite your research finding article/notes on important breakthroughs/ brief accounts of new approaches and techniques, for publication in the Mycorrhiza July 2018 and October 2018 Issues. 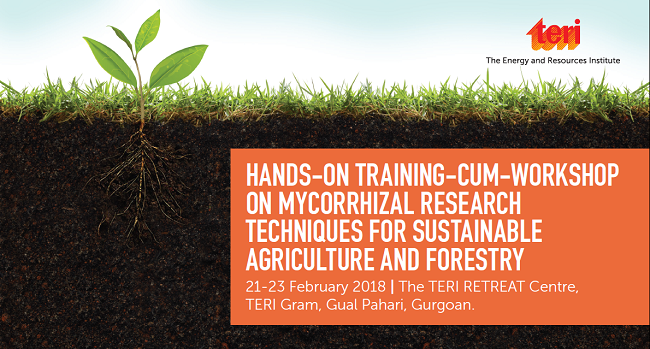 Report on "Training Workshop on Advanced Techniques in Mycorrhizal Research - 21-23 February 2018"